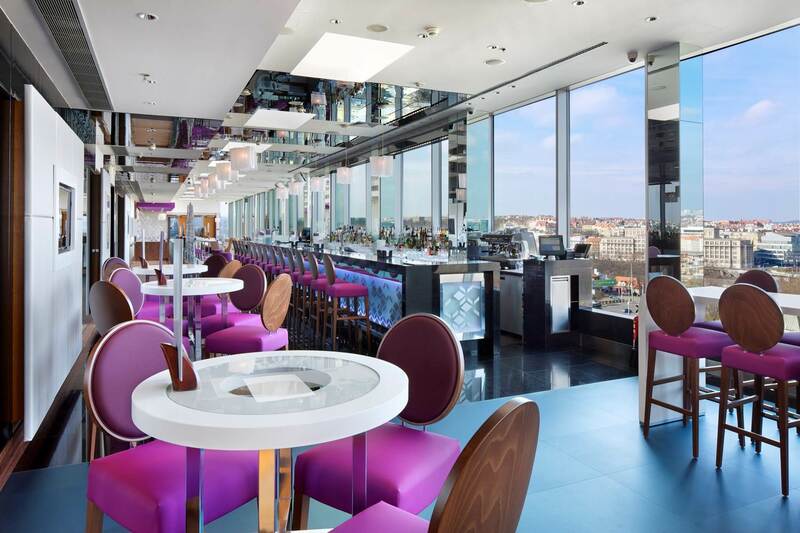 Cloud 9 sky bar & lounge is located 40 meters above the Vltava river on the rooftop of Hilton Prague. 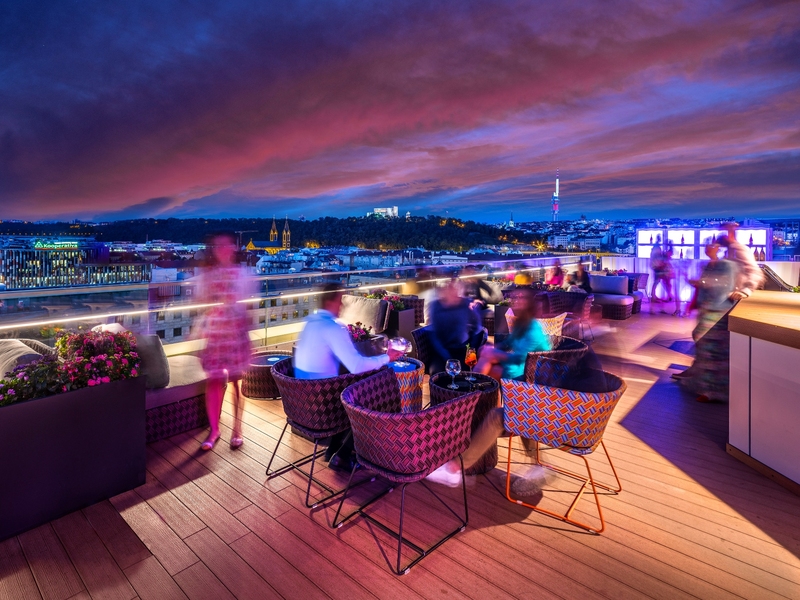 Offering glorious views over the city of Prague and not only from the inside but also from our terraces, Cloud 9 invites you to experience its matchless ambience. The bar menu is about innovative cocktails based on premium spirits and focused on Gin & Tonic creations from all around the world, enriched by natural ingredients pared with delicious bites and snacks for sharing with friends. Join us for DJ events and live music performances every Thursday at one of Prague’s trendiest, most exclusive nightspots.